A single stage team event from Port Edward to Port St Johns along the Wild Coast of South Africa. A three stage team event from Port Edward to Port St Johns along the Wild Coast of South Africa. Since the early migration of the Xhosa and Pondo tribes from the African interior to the east coast of South Africa, their livestock have been carving hillside trails. These incredibly rugged, yet perfectly manicured paths along the wild Pondoland Coast pay testament to this. Mainly due to the political rollercoaster that the Transkei has undergone, combined with the huge logistical challenges that this area faces such as scant road infrastructure and river gorges that cut deep into the interior, the coastline has remained largely undiscovered. Only very few pioneers have ventured into this unexplored territory mostly through raw, self-supported missions. 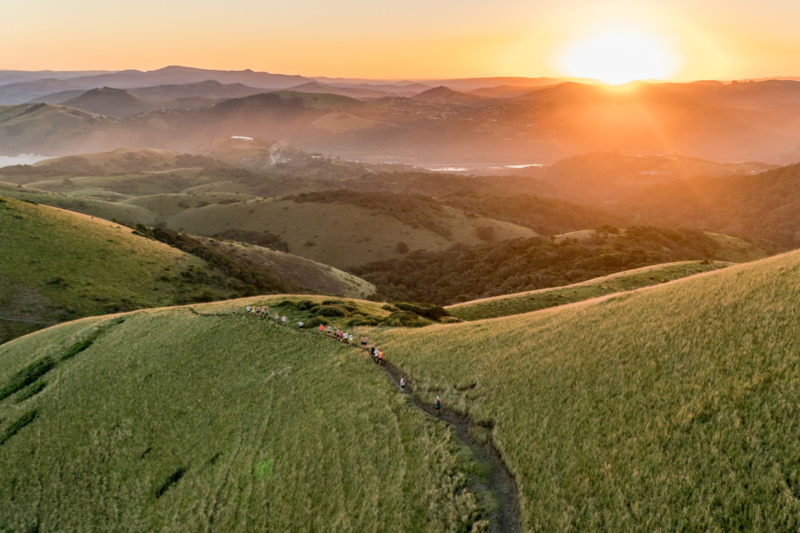 Now, through a collaboration of Wild Coast trail specialists and some of Africa’s trail running leaders, Wild Child Africa and KZN Trail Running hereby present you with the Pondo Trail in an ULTRA and 3 DAY STAGE trail run format. The Ultra is 103km and will be run in a single stage, whereas the Coaster is 103km in legs of 36km, 34km and 33km. Both formats are paired team events and all teams are to enter, run and finish together. No exceptions will be considered due to the technical nature of the trail and the numerous river crossings along the way. Choose wisely! This unique coastline is too fragile to sustain high density tourism. Therefore, the Pondo Trail is an exclusive, high-end product with a low environmental impact that strives to educate the fortunate few who grace its shores. May they experience its inner beauty and endeavour to preserve its future.